Wedding Linen Loveseat for rent - natural linen color and fabric. 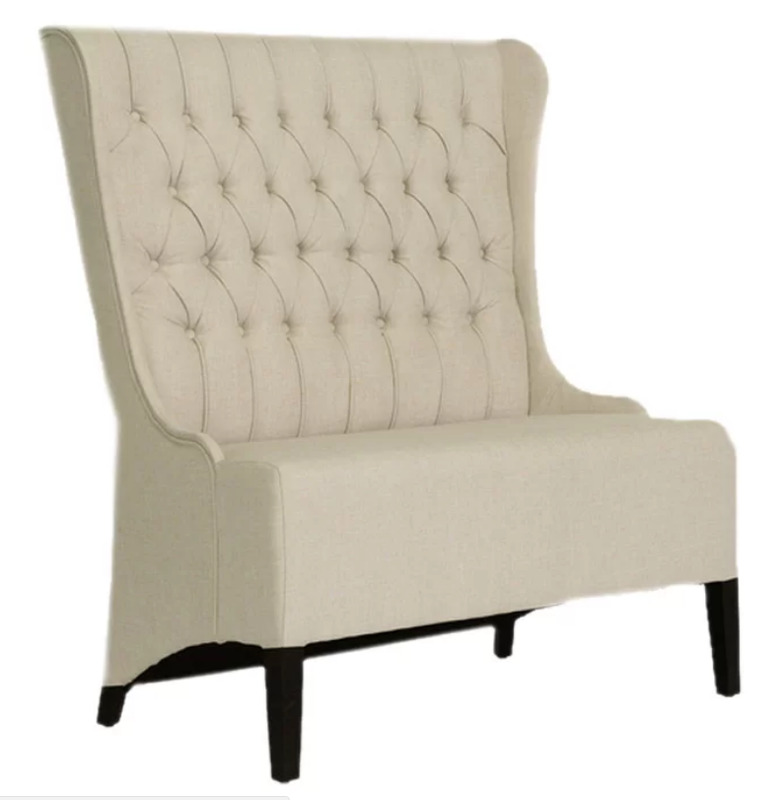 Add emphasis to your headtable with our beautiful linen loveseat. Can be easily picked up and returned from our showroom location. We do offer delivery and pick up service for an added fee. Note: This item cannot be shipped. Limited to local delivery (Greater Des Moines Area) or pick up.